What is an iDrive Chapter? iDrive recognizes the powerful role that students play in affecting positive change in their schools, communities, the nation and around the world. Therefore, iDrive Chapters are established and led by students. An iDrive Chapter is the group of people, ages 13-18, who come together as change Agents on school campus and within the community. iDrive Chapters can be established as a school club embedded into existing school-based programs, community programs, youth groups and organizations that are youth-focused. Members of each iDrive Chapter are known as iDrive Agents. For the purposes of support and in a spirit of partnership with school and community-based organizations, every iDrive Chapter has a designated teacher or staff member that serves as an iDrive Agent Advisor. What is an iDrive Agent? iDrive Agents are students who are driven to make a difference on their school campus and in the community. Agents come from all walks of life. They bring awareness to real-world issues by taking part in iDrive campaigns. 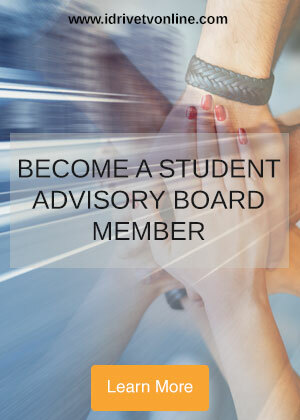 iDrive Agents in your Chapter may decide to focus on a nationwide initiative set forth by the iDrive Student Advisory Board or a specific issue affecting your school or community. Your iDrive Chapter may also choose to form iDrive Agent Teams that tackle a variety of problems and challenges that matter to you. Once the online registration form for your iDrive Chapter has been submitted, your Advisor will receive a notification e-mail to confirm that submission was successful. The follow-up e-mail will also contain useful information about “Next Steps.” Use the iDrive Student Toolkit as a guide to develop your campaigns and initiatives. What is the difference between an iDrive Chapter and an iDrive Agent Team? Your Chapter is the group of passionate supporters ready to take on issues affecting your community. Your Team is the group of Agents withing your chapter that are dedicated to tackling a specific the issue! Students join iDrive Chapters in their school or community organizations. Members of each Chapter form committees or iDrive Agent Teams that focus on specific issues such as school safety. Team up with friends and classmates to form the core of your iDrive Agent Team. Members should include the administrator, the team advisor (adult staff member of the school or organization), and, of course, students. Pick a topic you are passionate about and set goals for yourself to achieve by doing community outreach, education, presentations, etc. Choose whichever topic interests you the most or create your own.